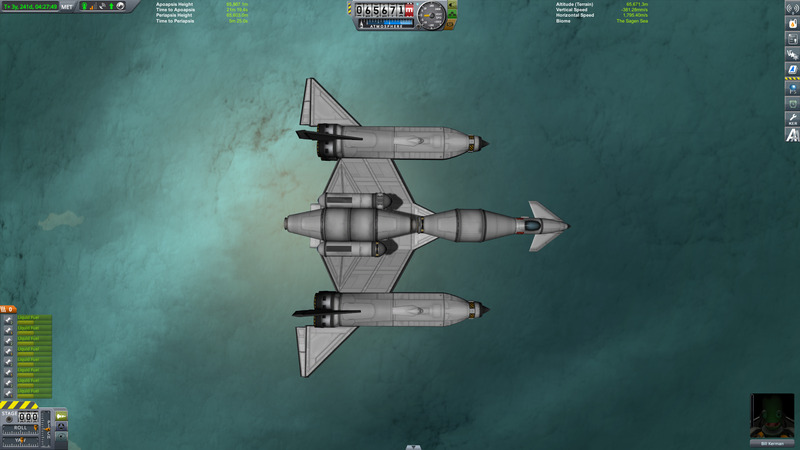 The Pelican 2 is an evolution of the original Laythe Kosmodrome medium utility plane. It sports so many refinements and improvements that it is easier to list what hasn’t changed – namely, the cargo flatbed. The most important improvements are to aerodynamic efficiency. The Pelican 2 is reasonably streamlined while retaining the superb handling characteristics of its predecessor. 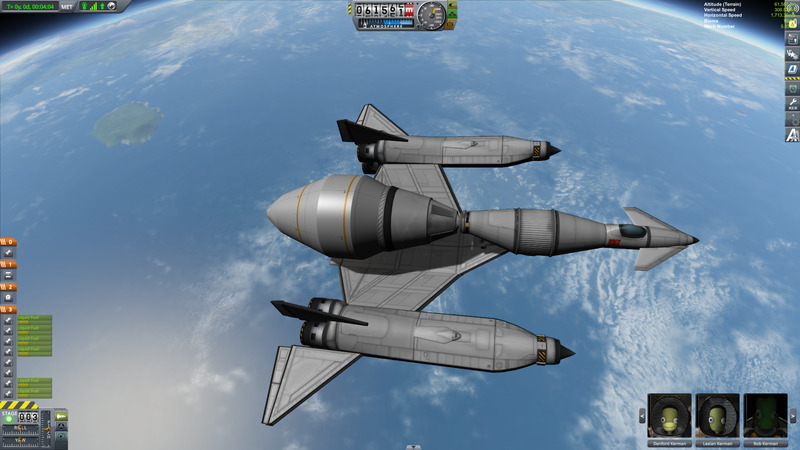 This turns it from a special-purpose craft to a general-purpose one: it is now a highly competent medium-weight launch platform, capable of lofting payloads with diameters up to 5.3 metres and masses of up to 40 tons to low Kerbin orbit. 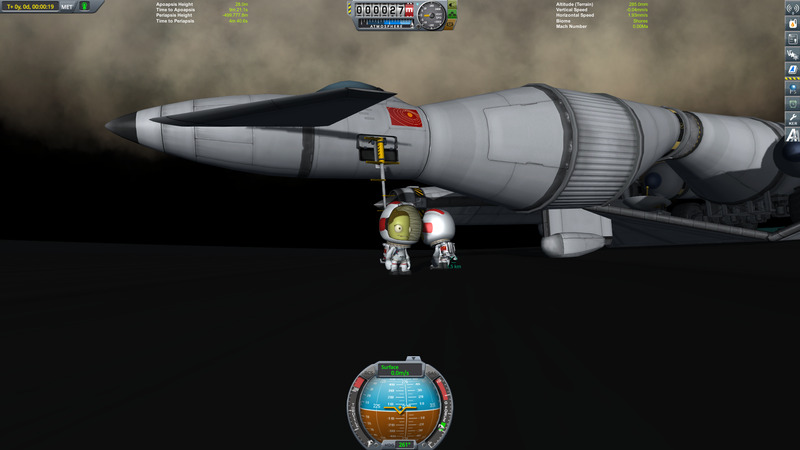 This allows it to easily exceed its mission requirement of hauling 2880 units of liquid fuel and oxidant to match to a waiting tanker in Laythe orbit. The Pelican 2 also boasts numerous technological advances, which significantly expand its possible range of missions. These include a remote guidance capable probe core and a medium-power relay antenna, which means it can be used to support probe missions from orbit, as well as making her so easy to fly even an engineer can do it. 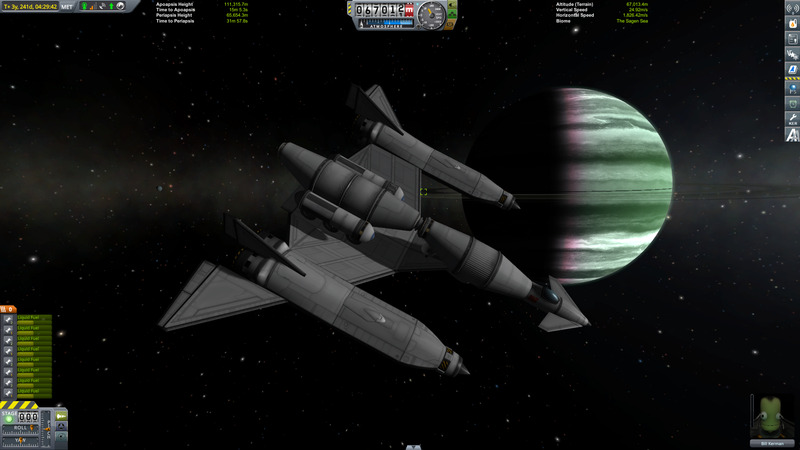 The Pelican 2 has been commissioned for the Laythe Kosmodrome. A stock aircraft called Pelican 2. Built with 95 of the finest parts, its root part is adapterSize2-Size1Slant. The Pelican 2 is also a highly competent medium lifter.